We are blessed here in California to have the perfect weather for growing citrus. We have several Meyer lemon trees which supply us with lemons almost year round. Meyer lemons, if you are unfamiliar with them, are a milder variety of lemon than our standard “Eureka” lemon. They are a cross between a regular lemon and an orange. They’re not quite as sour as regular lemons, and their peels are smooth and not as bitter. They make wonderful marmalade. I’ve tried to detail the recipe as well I could, making it easier for first time marmalade makers to be successful. Jam making is tricky; it really helps to do it a bunch of times; the more experience you have with it, the better jams you’ll make. If you are just starting out with jam making, use a candy thermometer! Once you have enough jam making experience, you can more easily judge when the jam is ready without one, but until then, use one. Make sure you are using Meyer lemons: I know this one sounds obvious, but you really cannot swap out Meyer lemons with regular lemons for this recipe. Meyer lemons are less tart and have peels that are less bitter than regular lemons. If you use regular lemons for this recipe, your result may be too sour and bitter. Cook until the peels are very soft in the first stage of cooking: Once you add sugar to the pot, the peels will firm up substantially, so you want to make sure the peels are very soft in the first stage of cooking, before you add the sugar. Know your altitude: These instructions are for cooking at sea-level. When you are at altitude, liquid boils at a lower temperature than 212°F. Look up what the boiling point of water is at your altitude (for example, at 3000 ft, the boiling point of water is 206°F), and aim for a jelly setting temperature of 6 to 8°F higher than that temperature. Otherwise, you may overcook your marmalade. Don’t let the marmalade turn brown: If the marmalade is turning brown while you are cooking it, you are likely overcooking it and the sugars are beginning to caramelize. Remove it from the heat immediately if this happens and then next time you make marmalade, aim for a lower setting temperature. Rely more on the wrinkle test than on your thermometer: I use a thermometer just to help me figure out when to start making a wrinkle tests. The wrinkling of a little jelly on a chilled plate is the best indication that the jelly has reached its setting point. This recipe calls for Meyer lemons, a hybrid of a regular lemon and an orange, that is thinner skinned and sweeter than a regular lemon. You cannot substitute regular lemons for Meyer lemons in this recipe. The proportion of lemon segments to water to sugar is 1:1:1. So if you don't have a kitchen scale and don't weigh your lemons to begin with, as you proceed through this recipe keep in mind these proportions. Your 2 1/2 lbs of lemons should yield 6 cups of chopped lemon. 6 cups of chopped lemon will be cooked first with 6 cups of water, and then later 6 cups of sugar are added. You can also do this recipe with 4 cups of chopped lemons, 4 cups of water, and 4 cups of sugar. Do not double the recipe. Do not reduce the sugar (if you want a reduced sugar recipe, use a different recipe); the sugar is needed for the jelly to set. 2 Prepare the lemons: Cut 1/4 inch off from the ends of the lemons. Working one at a time, stand a lemon on end. Cut the lemon in half lengthwise. Cut each lemon half into several segments, lengthwise. 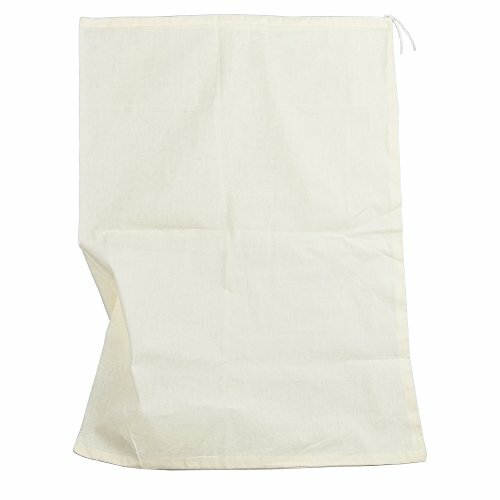 3 Put seeds, membranes, pith into cheesecloth or muslin bag: Put all of the seeds, membranes and pith you removed from the lemons into a bag fashioned out of two layers of cheesecloth or a muslin jelly bag. 5 Secure pectin bag: Place the pectin bag in the pot with the fruit pulp and secure to the pot handle. Test one of the lemon peel pieces by eating it. It should be very soft. If it is still chewy, keep cooking until soft. 8 Squeeze pectin from pectin bag: Once your pectin bag has cooled to the point you can handle it, if you want, squeeze it like play-doh to extract any extra pectin. This is not necessary but will help ensure a good set. (I like to wear latex-type gloves for this part.) You should be able to get a teaspoon or two more from the bag. It has the consistency of sour cream. Return this pectin to the pan with the lemon mixture. 9 Add sugar: Measure out your sugar and add it to the pan with the lemon mixture. 10 Boil and check temperature: Heat the jelly mixture on medium high and bring it to a rapid boil, stirring occasionally, making sure nothing is sticking to the bottom of the pan. After the jelly first comes to a boil, it will foam up considerably. this is why you need need to use a large pot, and make sure you pay attention and keep your eyes on the whole process. Stir with a wooden spoon to bring the foam back down. If it gets too high, lower the temperature to keep it from overflowing the pot. Secure a candy thermometer to the side of the pan, or check the jelly temperature with an instant read thermometer. The marmalade may take anywhere from 20 to 35 minutes or so to be ready to pour out. After about 15 minutes, start checking the temperature frequently. 11 Test to see if the marmalade is at set point: There are two ways to test that the marmalade is ready to pour out into jars: the mixture reaching a temperature of 218-220°F (6-8°F above the boiling point at your altitude) OR putting a bit of it on a chilled plate "wrinkling up" when you push it with your finger tip. I steer off of the wrinkle test. If the sample of jelly wrinkles, it's ready. I use a thermometer just to help me gauge when to do the wrinkle test. For the wrinkle test, place a small plate into the freezer. As the jelly temperature reaches 217°F, start testing it by placing a small amount of the hot jelly on the chilled plate. If the jelly spreads out and thins immediately, it isn't ready. If it holds its shape a bit, like an egg yolk, that's a good sign. Push up against it with your finger tip. If the jelly sample wrinkles at all, it is time to take the jelly off the heat and pour it out into jars. When you use a candy thermometer or an insta-read thermometer to test the temperature of your mixture, make sure the probe is NOT touching the bottom of the pan. Make sure that the indentation on the probe (with modern candy thermometers this is about an inch and a half from the bottom of the probe) is actually surrounded by the mixture. This may mean that you have to tilt the pan to one side, to cover the probe sufficiently to get a good reading. 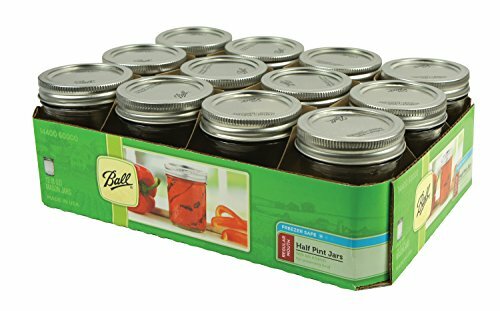 12 Sterilize canning jars: While the marmalade is in its second cooking stage, rinse out your canning jars, dry them, and place them, without lids, in a 200°F oven. They should be in the oven at least 10 minutes before using them. This not only sterilizes the jars, but it helps to keep them from cracking from the temperature differential when you add the hot jelly mixture to them. 13 Sterilize lids: As the time approaches for the marmalade to be done, boil some water in a tea pot. Put the jar lids in a glass or ceramic bowl and pour the boiling water over them to sterilize. 14 Ladle marmalade into sterilized jars: Once the jelly has reached 218-220°F or its "wrinkly" stage, remove the jelly pot from the heat. Carefully ladle the jelly into the jars, leaving 1/4 inch head space at the top of the jars for a vacuum seal. 15 Clean rims, secure with lids and jar ring: Wipe the rim clean with a clean, wet paper towel. Place the lid on the jar, securing with a jar ring. Work quickly. 16 Allow jars to cool and seal: Allow the jars to sit overnight. You will hear them make a popping sound as a vacuum seal is created. Hello! All photos and content are copyright protected. Please do not use our photos without prior written permission. If you wish to republish this recipe, please rewrite the recipe in your own unique words and link back to Meyer Lemon Marmalade on Simply Recipes. Thank you! What is the shelf life of the finished product? Does it need to be refrigerated? Thanks, looks like good use for my 70 lbs of lemons. Hi Deb, the marmalade does not need to be refrigerated, it has enough acid and sugar to keep it well preserved on its own. It’s best eaten up within a year, that said, I have some marmalades that are several years old and they’re fine. Made this last year and looking to make more. Could this be used with oranges? What changes would need to be made for navel oranges? Or could I do a combo orange and lemon? I’ve tried making marmalade with navel oranges and honestly it doesn’t turn out well. Navel oranges aren’t sour enough to make a good marmalade. I have a navel orange tree and I love navel oranges. But they’re better for juicing than for making marmalade. That said, I often make a combo marmalade with meyer lemons, limes, regular lemon juice, citron, pink grapefruit, and blood oranges, and I include the zest and flesh of one navel orange in that mix. That works, but the marmalade is just as good without it, and any more navel orange in the mix muddies the flavor. Wonderfully detailed recipe instructions! One of the best things about this recipe is that there is no soaking the fruit and seed/pulp sachet for 24 hours. Having a Meyer Lemon Tree in my yard here in Austin, Texas , I was looking for a recipe to use up several lemons at once, and make the product in one day. I made a batch yesterday strictly according to the recipe. My Meyer lemons (9 – and they are softball sized!) made exactly 6 cups of packed, chopped lemon) which was a little over 2 1/2 lb, but it does match traditional measures of 1:1:1 ratios of fruit, water and sugar that I am familiar with. During the lemon, water and sachet cook, it took about 50 minutes to reduce down to 6 cups. During the 2nd cook when reached 218 degrees F, I got a slight ‘wrinkle’ on testing, cooked 2 more minutes and took off the stove. Oh, and I water bath canned my product to get a non-refrigerated, longer shelf life batch. Highly recommend this recipe and all the tips! I just finished my first batch and it looks and taste great. I was a little skeptical of the pectin part. Looks like it thickened up fine. I had a lot of goo left in the muslin bag I made. Question, can it be used in the next batch since I have lots of Meyer lemons thanks to my nephew. Thank you for sharing the recipe. Hi Julianne, good question! I think you probably could use it again in the next batch. I have found that the pectin bag creates quite a bit more pectin than you need for one batch. Would this recipe work replacing refined white sugar with coconut sugar? I’d like to try adding ginger, does anyone have steps or ratio recommendations? We have a very prolific Meyer lemon tree, I’m really looking forward to trying this recipe. Hi Cici, I have not tried replacing the refined white sugar with any other kind of sugar, so I don’t know how it would work with coconut sugar. My guess is that you would get some flavors that you weren’t expecting, and they may or may not work well with the lemon. As for ginger, ginger is pretty strong. I would start with a tablespoon of grated ginger in the first cooking step and see how it tastes. Wonderful recipe. I followed your instructions exactly and my marmalade turned out just as I had hoped – sweet with bits of tart Meyer Lemon. I’ll use my last two lemons to make a lemon bundt cake, and serve with a dollop of your marmalade. Thanks! I’m so glad you liked it Margaret! This was amazing and came out so well. I have done this recipe a few times now. With this batch, the only additional thing that I did was… I added saffron to it; gives it a rich orange color and a hint of sweetness. Saffron and marmalade go together for sure. It’s my new favorite. What a wonderful idea Jaq, thank you! Elise, this marmalade is just beautiful. I finally had enough Meyer lemons to try making it this year, and it’s so delicious. Just the right balance between bitter and sweet and lots of great bits of peel in it to enjoy. My husband and I have found a new favorite. Thank you!! I’m so glad you like it Katherine! Great recipe. Mine is just a tich dark. I cooked my marm to 220. Probably was good at 218. I could tell the jam was going to set up fine early. The side of my pot showed evidence of that. It’s a great recipe. Next batch will include a bit of thyme or rosemary. Time consuming but totally worth it. Yummo, great in tea! Mine came out bitter & dark brown. I definitely have Meyers lemons and used 4-4-4 ratio. I think I cooked it in “stage two” on too high a heat. It’s bitter, dark brown & very hard as it cools. Lot of work for failure. May try again after I get over this catastrophe & it the pot scrubbed from hardened jelly. Loved all the tips and very detailed steps. Hi Jenny, could it be that you are at altitude? If so, you’ll need to aim for a lower setting point temperature. It sounds like the mixture got overcooked in the second stage of cooking. I just finished my first batch and your instructions were perfect! I’ve never done anything like this before so just did what you wrote. I am in South Georgia and my neighbor has a Meyer Lemon tree. Now I know what to do with the fruit when she gives it to me. Eight big lemons made eight jars. Now I’m waiting semi-nervously to hear the lids pop. Getting the lids sterilized and in place was the most challenging part of the process for me. I’m really glad I bought a home canning set for this project. It had a canning funnel and a magnet tool for picking up the lids. Those things helped me a lot. What I tasted from the pot scrapings was fabulous! Will this type of recipe work with Kumquats? Came out BITTER! What happened? Hi Jennifer, are you sure you used “Meyer” lemons? The peel of Meyer lemons much less bitter than regular lemons. Other than that, the only thing I can think of is that you needed a bit more sugar for your batch. Hi Nancie, you can water bath these if you want, but it isn’t necessary if you are starting out with hot sterilized jars. There is enough sugar and acid in the jam to prevent bacteria from growing. Jams and jellies are always best within the first year after they’ve been made, but they’ll still be good for several years later. I’m still eating marmalades I made 4 years ago. I just had a great lemon sage marmalade that I would like to replicate. How much sage would you recommend adding? Would you leave it in or take it out? Hi Astrid, usually when I add spices to marmalade (like cardamom, star anise, vanilla) I do so in the first boil, then I remove the spices before adding sugar in the second boil. I haven’t tried using sage as a flavoring agent in marmalade, but if I were to do so, I would add a couple leaves in the first boil. If you try it that way, please let us know how it works out for you! very simple and easy to follow. Taste great too!! This was a great recipe, simple to follow and the result was delicious! I’ll definitely make this again. Hi ! Ï just try this recipe and I think it’s a good one. I made 2 batches : 1 with an other jam recipe and the 2nd using this one. Very nice sour taste. I picked the lemons in a orchard in South of France and these were huge ! They were very sour but didn’t change the 1:1:1 proportions. I had a bit of membrane left in the marmelade that I had to remove as filling the jars. I will have to be more careful next time when chopping the segments. Meyer Lemons hit the stores in early spring. Can I cut up the lemons, saving the seeds and pith, and freeze until December? That way the marmalade is fresh for Christmas gifts? Hi Cynthia, I would make the marmalade when the fruit is fresh, then just store until you give the marmalade as gifts in December. The marmalade stores well. Do you add the pectin bag back into the pot after you squeeze it after it cools? Or do you put the insides of the bag in?